Dailybuzz.ch: 2014 BET Awards Performances: Usher, Chris Brown, Pharrell, Nicki Minaj, Beyonce and Jay Z, Jennifer Hudson, Trey Songz…all on one stage, in one night!! 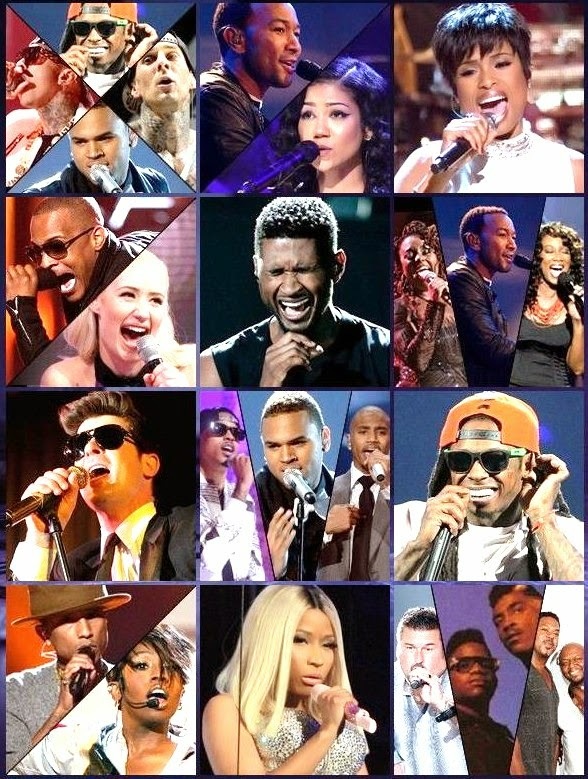 2014 BET Awards Performances: Usher, Chris Brown, Pharrell, Nicki Minaj, Beyonce and Jay Z, Jennifer Hudson, Trey Songz…all on one stage, in one night!! It must be the BET Awards! Celebs, fans and music lovers swarmed the Nokia Theater in L.A (and we watched from our living rooms) for the biggest night in black entertainment. And just in case you were unable to tune in…we’ve compiled the best performances of the night into one post! We know, we know…thank us later. Usher set out to prove a point. A Pharell & Missy Elliott collaboration? Need we say more? Chris Brown let it be known that he is BACK! Trey Songz and August Alsina squashed all of their beef and performed together with Chris Brown!